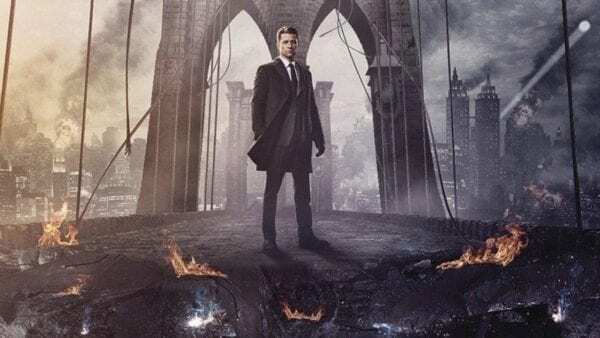 During this month’s New York Comic Con, Gotham producer John Stephens confirmed that the upcoming fifth and final season of the Batman prequel show will see the introduction of Bane, and now we’ve got our first official look at Shane West (Nikita) as the character. In addition to overhauling his look, Gotham’s Bane will be portrayed as Eduardo Dorrance, an old army buddy of Ben McKenzie’s Jim Gordon, who arrives in the city as part of a government special ops team looking to restore order in No Man’s Land, and transforms into the fearsome villain as the season progresses. Gotham season 5 is expected to premiere in midseason on Fox. Photo Credit: Jeff Neumann / Warner Bros.